Knight of Desire is the first book in the medieval series “All The King’s Men” which is set around the same time that her “Return of The Highlanders” series. This book and this series is set around the time when King Henry IV took the throne and which deals with the Wales rebellion. I don’t get a chance to read too many books around this time era and I had such a wonderful time with this book, it swept me back into this majestic period of history in England. Margaret Mallory has a almost magical touch when it comes to writing medieval era romances and I really got a kick out of her “authors note” that she put at the end of the book that explains some historical figures that we see in this book. Including King Henry and his son Harry and some of the Wales rebellion leaders. This book begins with a prologue where our hero and heroine meet for the very first time. Lady Katherine, is to be married at sixteen to a man who frightens her but this is what the King is asking of her, and she is loyal. But the night before the wedding she wants some freedom but a knight….Sir William. William knows the risk of escorting Katherine, but fears what could happen to her if she doesn’t have protection. So he goes out with her so she can enjoy her last night of freedom. There is a strong bond that forms between William and Katherine, a frienship of laughter and understanding. But Sir William goes off to war to fight and gain his own lands and Katherine is to be married to Lord Rayburn. Lady Katherine has had to bear years of her husband forcing himself upon her, beating her for the lack of a child but finds a way to get pregnant and now she has a small son she loves and adores. But now Rayburn wants a second child and she doesn’t know if she will survive his beatings once again. So when she realizes that her husband is a traitor to his King, she reports him to the King knowing that he is working along side with the rebels. 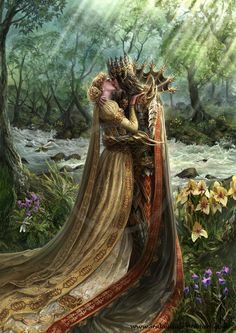 She received notice that her husband has been killed and one of the King’s men, a loyal knight, will be taking over the lands and will be the one to decide her fate. Sir William doesn’t know if he can trust Rayburn’s wife, considering she betrayed him even if it was due to her loyalties to the King. But when he sees her, he recognizes her as the one whom he protected that one night and one he never forgot even after all these years. So he has two choice send her to the tower in London or…marry her. What a tremendous and beautifully written story that I devoured. I honestly didn’t want to put this book down and breezed through this audio book. I have had this trilogy on my TBR for the LONGEST time, in reality…years. I will admit, that the covers that Forever designed for these books are stunning and just makes you want to buy them so they can look pretty on your shelf. 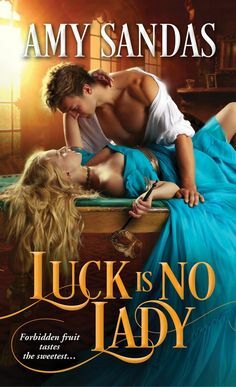 But I adore medieval romances and Margaret Mallory is so talented at writing these books and the time era that she has chosen for this trilogy is one of my favorites. There are so many unique dynamics that bring this book together. One of my favorite aspects was seeing all the secondary characters and where as some of them are actual historical figures. Such as King Henry IV and his son Harry. Prince Harry we see quite a bit of in this book, he and Katherine were childhood friends, and we see how he plays a pivotal role in the story and the development of the plot and some of the Wale rebels machinations. I was fascinated by Prince Harry to be honest. I so don’t like his father since he was very cruel. But his son, was the opposite. Of course, he was a warrior and at the young age of eighteen, he already was in charge of England’s armies and despite how youthful he could be…he was cunning and so intelligent yet charming and kind too. I was really intrigued with how Mallory developed the plot because…seriously…it didn’t turn in the way I expected it and she always does this to me. She turns my world upside down with twists and plot developments that take those unexpected turns. The historical aspects of the story are one of my favorite elements of this story. Its so rich with history and details and I was really intrigued with how she handled the rebellion of Wales. This is such a fundamental part of England’s history and she wrote it so well. I found myself really intrigued with the leaders of Wales who are in charge of this rebellion and now I want to pour through historical books to find out more about them. This is the true talent of Margaret Mallory, when she wants me to pour over history books….you just know how well she pens a story. The romance between William and Katherine isn’t a easy road for either of them. The first half of the book, the focus is them learning each other and boy the misunderstanding and miscommunciations are ridiculous at times. If they were to just sit down for five minutes, it would be resolved. But then its a romance novel…so its not going to be that easy. But they do find some common ground and boy does the hero let Jealousy get the better of him. We see him face up to why he is feeling jealous of the Prince….so much that he almost wants to attack him even though its obvious they are just good friends. Katherine has her own issues of course too….she hasn’t emotionally recovered from the abuse she was dealt by her first husband and at times she does take it out on William, even if she doesn’t realize what she is doing at first. They both have to learn about trust and honesty and being open with each other if they want their relationship to work. But they do make it work and find some common ground although….the learning aspect of their relationship was so dramatic at times that it could be a bit frustrating. This aspect of the story is the reason this book isn’t a five star read. Lack of honesty and communication can drive me up the wall. Overall I fell in love with Knight of Desire….its a tale rich in history, vibrant in sensuality, stunning in detail and endearing in emotion, simply a romance to remember!! !UNFORGETTABLE!